Kaz Brekker is a street urchin who has risen from nothing to be the second in command of a powerful gang. He is clever and ambitious. He is offered the chance of a lifetime if only he can complete an impossible task. Break into the Ice Court and break out with a prisoner who knows how to make a weapon of unimaginable power. 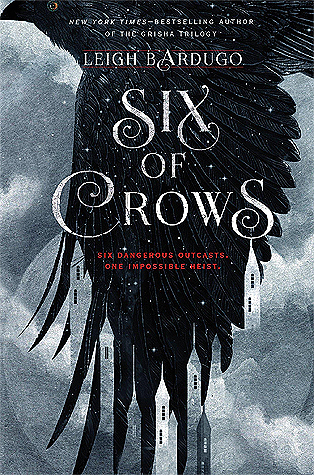 Six of Crows is a fast paced caper filled with twists. The characters are clever in their solutions to the problems that arise. Even though the story follows criminals that have shady backgrounds, I still felt myself rooting for them. It is a tale of revenge, love, magic, crime, etc... The story is very well done. The only reason I don't give it a full 5 stars is because it never managed to pull me completely in. Even though they talked about how impossible the task was, there was never a point where the characters felt like they were in any real danger. It was almost too far over the top in some places with how they would escape. The book is a fantastic fantasy story and I will be picking up the next installment.